What input does BookCheck handle? Purchase invoices and payments, bank transactions, petty cash, credit cards, factoring, accruals & prepayments and all month-end entries. Reconciliation of everything possible including bank, VAT, PAYE and suppliers' statements. Clients handle any stock or order processing, create sales invoices, input the sales receipts and chase debtors. Optionally we can assist with the sales ledger. Which software do you operate? We will convert from any other system, including Excel, to the above. We are neutral in choosing between Sage & Xero. Of course with our great experience we can assist you in choosing as required. We have a system which is neither Sage nor Xero - would you handle this? So that we can be highly skilled and efficient, we run only Sage or Xero systems. We will convert any system to Sage or Xero. Often such a change saves £'000s every year as the old system can be costly in comparison, not only in maintenance but in much greater staff time required to run the system. This is such a hidden cost that most businesses are not even aware of it. We have a massive amount of experience in this area, built up since 1994, so do check with us for a professional consideration. Finding staff to run a Sage or Xero system is far easier than for other systems, consequently there is much less disruption and retraining required. Most accountants are familiar with Sage and Xero and generally prefer this software, hoping that it is well managed, which of course it is with BookCheck. What is BookCheck Online and is it suitable for our business? This is either Sage or Xero in the 'cloud', shared between yourselves and BookCheck, live 24/7, using a simple web connection. (What is Cloud Bookkeeping?). Example 1 - staff at one office wanted to create sales invoices but the bookkeeping is at another office. Example 2 - the business wanted to continue handling sales invoicing and purchase ordering but needed the bookkeeping to be handled offsite by BookCheck. Example 3 - the owner wanted 24/7 access from any computer. Example 4 – greater security and improved speed. Call us for a discussion – we are very experienced, having hosted Sage since 2003 - yes 14 years. How are you different to other book-keepers? In a word - quality. We only recruit very experienced bookkeepers with proven skills, especially the ability to reconcile. We are totally focused on Sage and Xero. We are a team of 60 staff, established in 1994 so have a wealth of experience and cover. BookCheck has the greatest operational Sage and Xero bookkeeping experience and skill anywhere in the UK. Being a lot bigger than other firms allows us to have sufficient and flexible resource to cope with changes, especially growth. These factors are often quoted by new clients in explaining their decision to move to BookCheck after suffering serious frustrations, gaps and recruitment issues. Even very good book-keepers are a problem if they can't provide you with enough capacity. We charge according to the time required which we establish after checking details. We know from experience that on average we will take 65% of the existing time as we are totally focused on the task and don't get side-tracked. We also do a much better job, including producing top quality Management Accounts, always from a qualified accountant. Are we too small / too large for BookCheck? Most of our clients have a turnover greater than £200,000 - we don't have an upper limit and have handled up to £24M. Would you handle our bookkeeping annually? No. Most of our clients report monthly. Our role is to keep control of the bookkeeping system and hence provide quality Management Information throughout the year. Can you sort out a big mess? Yes, that’s our special skill. Sometimes with a team of up to 5 staff for one project. We’ve never failed to resolve an inherited nightmare and we have over 20 years experience. How can I be sure that your staff will have sufficient time to handle our book-keeping, especially if the workload increases? With a team of 60 we have extra flexibility in resources. We also know how to recruit quality staff which is getting much tougher in 2018. Our clients appreciate that they are buying a Company solution, not an individual and that's a great relief. No eggs in one basket. They are like the Year End accounts but tailored to your personal reporting requirements, usually monthly. The reports are Profit & Loss, Balance Sheet, Previous Year comparison and Budget comparison. We report in BAR - BookCheck Advanced Reporting. Who produces the Management Accounts? 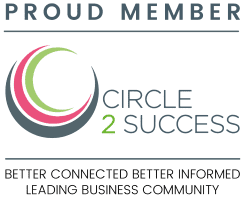 We appoint one of our eight qualified accountants who will thoroughly check the quality of your SAGE or Xero system each month, make any adjustments that are necessary and then issue management reports directly to you under their signature. They will liaise with you to ensure that you have all the management information you need, custom designed to your own requirements. What reports do you produce? Profit & Loss, Balance Sheet, comparison with Prior Year and Budget, VAT returns, Aged Debtors, Aged Creditors plus a wide range of tailored reports as required. We present these in our superb BAR - BookCheck Advanced Reporting. What are the benefits of quality Bookkeeping with Management Accounts? Cash flow improves and hence profits increase as we produce accurate debtor data. Sound monthly reports allow you to manage your business more efficiently e.g. you can measure your overheads and monitor margins. We release management time to 'get on with the business' and you will feel much better too! At last you will be confident when reporting internally and externally to banks and investors. How can Management Accounts boost Profitability? Firstly by simply reporting performance - Measure to Improve. Secondly by splitting the Profit & Loss between sectors of your business or contracts. For instance, BookCheck itself splits between "Book-keeping with Management Accounts" and "Payroll with Pension Auto Enrolment". These are effectively two different businesses, with different gross margin percentages. If mixed up together, how can you tell them apart? Would you check our own bookkeeping, make adjustments and produce management accounts? No. Our role is as outsourced bookkeepers who go on to produce these management accounts. As a minimum we would need to handle the bank reconciliation, all the other reconciliations and probably the input and reconciliation of the Purchase Ledger. Do you handle Payroll on its own? Yes, with pension auto enrolment. We have dedicated payroll staff who work as a team of 10 and cover for each other as required. What’s special is our one to one service so you really get to know each other for a smooth running of your payroll. Our complementary service is book-keeping with management accounts. STAR payroll on our high security servers. STAR Payroll is run by all the top 4 accountants and more than 50% of the top 100 accountants in the UK. If you currently run your payroll on another system we are happy to convert this to STAR free of charge. We can also run on Sage if required. Do you handle the associated pension auto enrolment? Yes, it has to be both payroll and auto enrolment together. You will always be working with the same person every payroll run, apart from holidays when we organise a relief service as required. 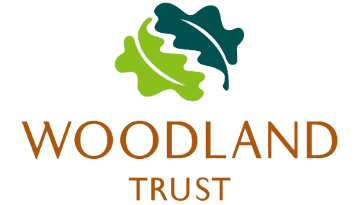 How does the Woodlands Trust benefit from BookCheck? We pay them to plant a tree for every new client. How much experience do you have with payroll? We’ve been running payroll for 20 years and we currently have 11 staff dedicated to this service. Is there anything special about your service? Please ask us to quote on your payroll numbers. We handle from 1 to 1,000 employees. Do you provide client references? Yes, without being asked we provide full contact details for 50 current clients so you can really check before you decide. All employers must have a suitable pension auto enrolment scheme in place, running as part of their payroll. What do we do and what do you do? You have to choose a qualified scheme from a pension provider. We do everything else – the setup to make any necessary payroll changes, keep all employees informed, handle any employees wanting to opt-out of the scheme. Then we check the status of all employees at every payroll run, ongoing, as the law requires. Can you help us with auto enrolment because it’s a worry? Yes, that’s our role. We make it straightforward, despite the stack of worrying websites and articles suggesting otherwise. Do we need to pay for consultancy advice in choosing our pension scheme? Some of our clients have chosen to do this for a variety of reasons but normally it’s not necessary. Talk to us and we can assist. What is your experience of auto enrolment? We’ve handled hundreds so we know what we are doing (see our Employers Guide to Auto Enrolment). We charge according to numbers on the payroll and the split of responsibility between us. Please contact us for a quote. What is special about BookCheck auto enrolment service? We make it really easy for you so you can forget all the hype. Do we have to use BookCheck payroll for us to use your auto enrolment service? Yes, because the two are bound together. No - we never act as accountants, we are professional bookkeepers. We use one of our eight qualified accountants both to check thoroughly the work of every bookkeeper and to issue personally every set of management accounts. Accountants are a major source of referrals to us and in turn we refer to them. Although all accountants will handle a degree of bookkeeping they're really not looking to do our work and hence don't compete with us. They are, after all, accountants, not book-keepers. Are your staff in the UK or overseas? All our 60 staff are in the UK and always have been. What would you like to know about us before you provide a Book-keeping with Management Accounts Proposal? We recommend that we carry out a book-keeping HealthCheck on your system. It’s 30 points, in traffic light format, on one page. It’s free, without obligation and from a qualified accountant. It gives you an easy to understand measure of your quality and helps us estimate our time requirements. Our onsite staff currently cover London, Bath & Bristol, Stroud & Gloucestershire, Oxford, Manchester, Reading and Swindon areas - over half our clients are online and this service is also suitable for other areas of the UK. Payroll clients are all over the UK. What accreditations to do you have? Consistently we win business on quality – that is the big difference. We know from market research that is where other firms have a weakness. Smaller competitors don’t have our resource bank and flexibility which often causes a serious problem. Where do your clients come from? Other clients, accountants, financial directors, banks, other professional advisors and of course from this website. How can I be sure of good communications? We would say that communications is the biggest challenge in working with our clients. As long as our clients are up to the mark we will always be focusing on this subject. How do we discover how you could help us? After an initial phone conversation with our Managing Director Anthony Pilkington FCA he will arrange to meet you, establish your needs and determine your requirements. We will then present a detailed proposal offering our solutions. How does your bookkeeper measure up?